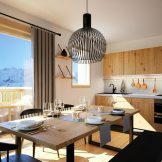 We are delighted to offer this new collection of apartments is now for sale in the ski resort of L’Alpe d’Huez. These properties represent a unique opportunity for those who want to invest in an up and coming resort. 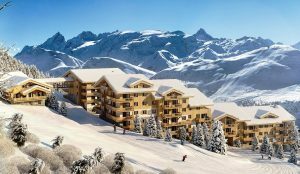 A reputable stop of the Tour de France, L’Alpe d’Huez has recently agreed to a €350 million investment to link the resort with Les Deux Alpes, thereby creating the third largest ski domain with 450 km of pistes by 2020. Hence this represents a safe investment with a great capital gain potential in the coming years. 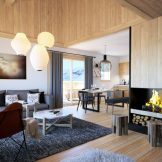 The 55 new build properties are ideally located, 100 metres away from the Avenue des Jeux where restaurants, shops and bars are, while benefiting from unbeatable ski-in ski-out access. 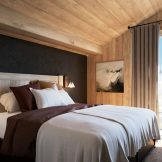 Following the town hall's decision to regenerate the ski resort, the new buildings will respect the Savoyard tradition using slate, woods and stones from the region giving the properties a real alpine feeling. Wherever in the development, the properties will fully enjoy panoramic views of the surrounding mountain tops. 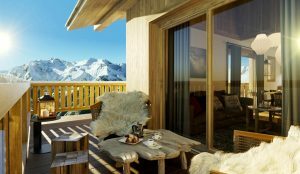 Facing South, East and West, the properties are bathed in light, especially as Alpe d’Huez is well known for its 300 days of sun as well as its guaranteed snow due to its high altitude (1850m to 3350). 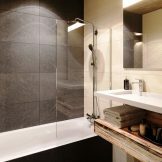 These apartments range in size from two to four bedroom (some have additional bunk beds), the properties range from 48 to 110 square metres and all include a 2 meter-deep terrace, ranging from 6 to 20 square metres. 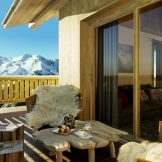 The interior design is sleek and simple, mixing wood and paint, creating an alpine atmosphere to the place. The kitchen and bathrooms come fully equipped and some of the apartments on the top floors will have the option to add a fireplace and enjoy double height ceilings. Built next to a 4 star Hotel, the future owners of these wonderful homes will benefit from the services of the hotel if they wish to rent out their properties, and therefore recuperate 20% of the VAT. As well as having a hassle free management system, the future owners will enjoy direct access to the spa area with its Hamam, sauna and swimming pool overlooking the surrounding mountain tops. 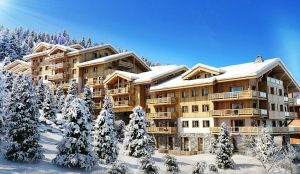 One bedroom ski apartment, from 47.83 square metres, priced from 320,000 euros. 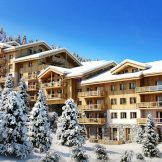 Two bedroom ski apartment, from 65.46 square metres, priced from 470,000 euros. 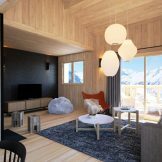 Three bedroom ski apartment, from 72.5 square metres, now all sold out. 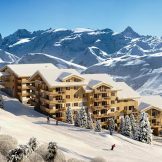 Four bedroom ski apartment, from 87.12 square metres, priced from 898,000 euros.